I’ve discovered a secret to choosing a domain name, so read on! Your domain name is important because it is considered in Search Engine Optimization (SEO). So, if your domain name contains words that people search for, your website may appear higher on the list of results. Another reason that your domain name is important is that it should be easy to remember. This helps people return and tell their friends about it. But using keywords is not the only way to go. 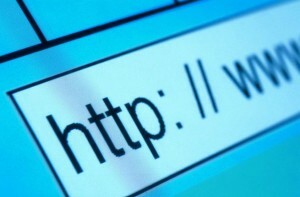 In fact there are 3 types of domain names and any one of them can succeed. Trade name An easy-to-remember trade name Amazon, Yahoo, Google. Easiest to sell, easy to remember. May have coolness value. Hard to choose the right one, most short names are taken, you may have to buy one. For most people starting a 1-person business, I recommend either type 1 or 2. Use your name if you want to become an Internet star! Otherwise, use keywords. Let’s say that you decide to use keywords. But your keywords aren’t available! I recommend always (or almost always) going with .com for a domain name, so forget trying .net or anything else–.com is just to automatic with Internet surfers. Come up with 2 great keywords that make a good phrase. Add a 3rd word that isn’t related, but is general enough to apply to almost anything. So we looked for a 3rd word that she could add to any of these. We ended up with “star.” Her final choice was www.webmarketingstar.com. That’s an excellent domain name. It’s clear what it refers to, will help her SEO, is easy to remember, and sounds great! What words do you think could apply to a lot of different websites? How did you choose your domain name? Leave a comment! Thanks for this informative article, Ellen! Choosing a domain name is a toughie. You need something that reflects well on your business, isn’t already taken (or can be purchased for a reasonable fee), is easy to remember, and has SEO qualities. Also, just like your company name, you don’t want something that’s easily mixed up with another brand (if possible). I like how you provided examples. I have another domain name, NewsletterGal.com, which was great when I was just 1 lady, but it limited my business to one person and one product (newsletters). You mentioned this type of problem in your table comparing different domain names. I kept the old domain name, but Web Marketing Star is way better for offering lots of different Internet Marketing Services. Lee, great additional points! I think that your experience with newslettergal.com is common–people start a website and then grow or change and the name doesn’t represent what they do anymore.